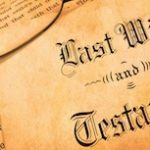 Talking to Clients about Estate Planning in the New Year | The Levin Law Firm - Philip Levin, Esq. It seems like only yesterday we were in the midst of primary debates and a long election season. But with the New Year comes a chance to revisit how we serve our clients and help them deal with the inevitable changes of life. The more we can meet their needs in a holistic fashion – even when that means working to get things done for them that are outside one’s core responsibility – the better and deeper relationships we will enjoy. Coordinate with us to review the client’s will and general long-term financials, and collaborate to suggest changes that improve client results. Ideas for dealing with these clients: Educate these people about the costs of a lack of planning. Remember the adage – an ounce of prevention is worth a pound of cure. These people believe they have “finished” their planning. 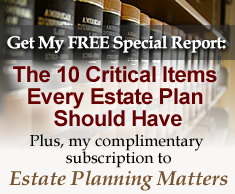 Their set-it-and-forget-it mentality, however, can be dangerous and lead to obsolete estate planning strategies, surprise taxes, and family disputes. Ideas for dealing with these clients: People in Category 4 have something to lose, and yet they may be operating under a false sense of security. Bring up expected changes to the tax laws in 2017 that might affect the estate tax and the income tax. 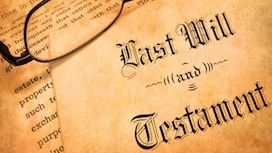 Remind clients that estate plans can become obsolete because Congress, state legislatures, and the Courts are constantly meddling with the law–and equally as likely, client circumstances and goals may have changed–along with their beneficiaries’ goals and circumstances. The beginning of a new year presents a great opportunity for you to reach clients and serve them more fully. We are here to answer questions, address concerns, and provide up-to-date resources to help you serve your clients. Call or email us when you and your clients need insight. Here’s to a healthy and prosperous 2017!